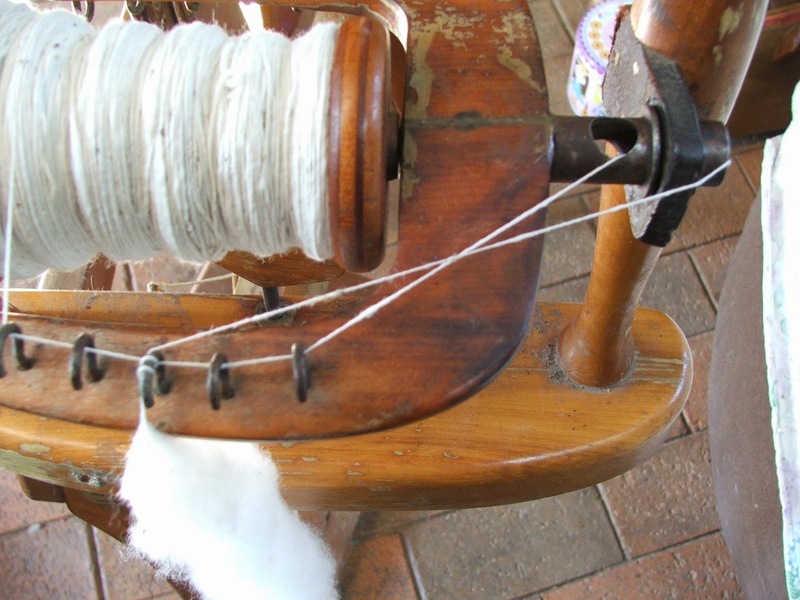 Spinning cotton requires patience and practice. The method is different to wool and the settings on your wheel are different too. First, the wheel. 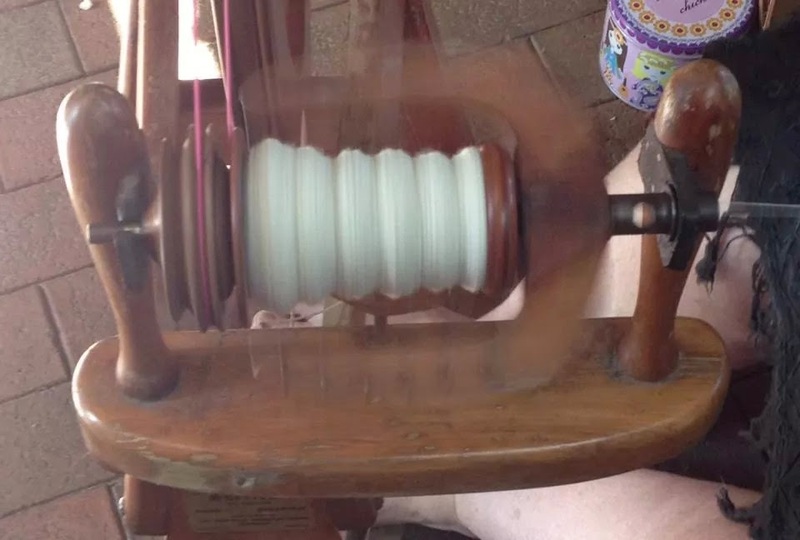 My wheel has a double band drive, which is not recommended for spinning using the long draw method (commonly used for cotton) as it is hard to adjust the wheel to take up the yarn slowly enough. I have found it is possible to use the long draw method with a double band wheel, you just need to be patient and keep a close eye on the yarn. I use what I would call a medium draw method that works efficiently for me. Instead of drawing the fibre back past my hip, as you do with the long draw, I draw back about 30 cm at a time before letting the yarn wind onto the bobbin. I also ‘bend’ the yarn a bit so I can control the twist in the yarn I am drafting. 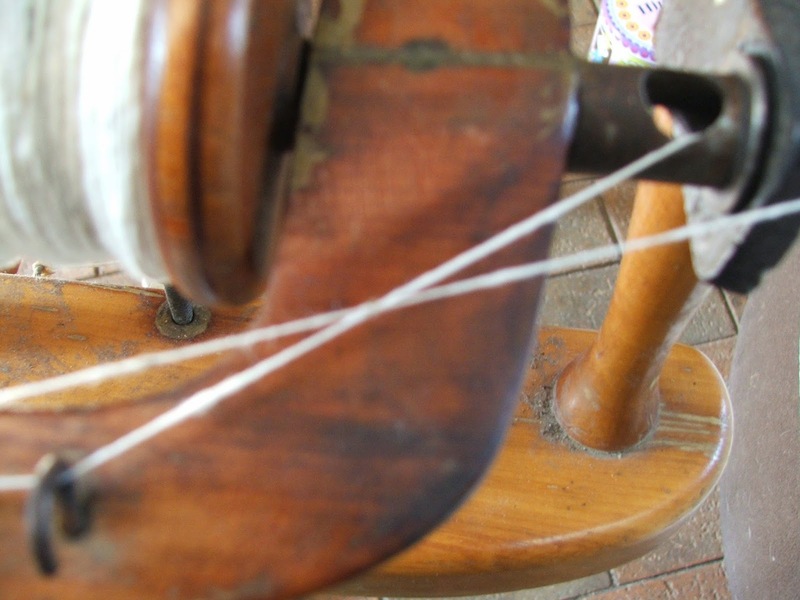 For non- spinners; drafting is pulling the fibre out into a thin line before the spinning wheel puts twist into it. The clip below shows how an expert spins cotton using the long draw method. This clip shows how I spin using my medium draw method. It takes a long time for me to spin a bobbin of cotton, but I enjoy the challenge of getting the single (the un-plyed strand of yarn) smooth and even. The singles are getting fairly even. Almost filled a bobbin, just a few more nests. When the bobbin is full it is time to ply the yarn….see you then.